For the Lions fan, it’s their football version of the Kennedy assassination. The Lions fan knows where he or she was, and what they were doing, when the news hit that Barry Sanders, the great, jitterbug running back, had abruptly retired from the NFL. It was on the eve of training camp, 1999—as if you need me to tell you that. Barry was 31 years old and had played 10 seasons. He was still highly productive and was on the verge of breaking Walter Payton’s all-time career rushing record. It was just a matter of time. But personal records, as we know, didn’t matter to Barry. He eschewed a chance to lead the NFL in rushing in his rookie year of 1989, when coach Wayne Fontes tried to put Sanders back into a game the Lions already had well in hand. It was the last game of the season, and Barry was just a few yards behind Kansas City’s Christian Okoye. But the team was winning and that’s all that mattered to Barry, so he declined Fontes’ offer. Barry was about 1,500 yards behind Payton after the 1998 season. Another good season would put Barry on top of the heap for all-time rushers. But that was a personal milestone and since those things didn’t fuel Sanders’ fire, it played little to no part in his decision to quit the NFL in the summer of 1999. Sanders had simply lost his inner drive to play football, so he got out. Just like that. The timing, of course, was odd and Barry has rightly been criticized for waiting so long to make his decision—after the Lions had a reasonable chance to find a starting running back. I have been among those critics, and I always will be. I respect Barry as the greatest runner in NFL history but his handling of his retirement was done poorly. The Lions were indicted in the court of public opinion for hastening Barry Sanders’ decision to retire, because of the team’s slapstick performance while no. 20 did his thing from 1989-98. But the Lions did make the playoffs five times during Sanders’ career. Granted, the team went 1-5 in the post-season while Barry was in Detroit, but it wasn’t like the team was in a Matt Millenesque spiral, like it was for the first decade of the 2000s. Still, the Lions will always be blamed, at least partially, for greasing the skids into retirement of the greatest player in franchise history. But the Lions are getting a bad rap today. For once they don’t deserve the cross eyes. 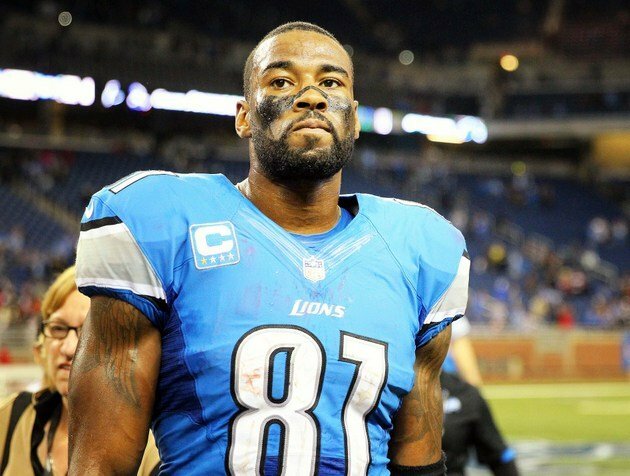 Calvin Johnson, the greatest pass receiver in Lions history, is on the cusp of retirement, according to reports. And again some folks are giving the Lions dirty looks. It’s not deserved, and worse, it’s not fair. When Barry Sanders hung up his cleats, there was nothing physically wrong with him. How could there be, when he never got hit? Sanders was never beat up on the football field. Even when he was tackled, it wasn’t with any violence. He was soup and the defenders were forks. You never would read stories of how much of a physical mess Sanders was after every season. Because he wasn’t. This isn’t a criticism; it’s praise. But Calvin Johnson is another story. His body has been ravaged after nine NFL seasons. Despite his physical stature and dominance, Johnson never got through a season unscathed. Ankles, wrists, hands, knees, shoulders—you name it, Johnson has hurt it. So his apparent decision—all but official if sourced reports are to be believed—has little to do with the Lions organization and a lot to do with his physical well-being. Unlike Barry Sanders in 1999. Johnson recently got married. He’d like to start a family. And he’d like to have his wits about him. He’s only 30 years old, for goodness sake. And while some look at his age as a reason to keep playing—he’s “only” 30—it’s really a reason to stop. Johnson has no more to prove in the NFL, from an individual standpoint. He’s broken some records. He’s established himself. He’s made a ton of money. Yes, he’s leaving a lot of money on the table if he retires, but what is money if your body won’t work? Some in his inner circle have said that Johnson is “tired.” Makes sense. But so are a lot of NFL players after another grueling season, which starts in earnest with July training camp and runs for six months straight. So being tired is not reason enough, of course, for a player to consider retirement. It goes much deeper than that. The only thing that Johnson hasn’t suffered through—that he knows of—is a concussion. That makes him increasingly rare in today’s game. Everything that has happened to Calvin so far, related to football, has been non-brain related. He’d like to keep it that way, I’d imagine. Johnson can afford to retire at age 30 because he doesn’t need the dough like so many of his brethren do. The money he’s made—and it’s a lot—still might not last him for his entire life, but if he wants to earn some after his playing days, it’s always easier to do that when you have a sound mind. I don’t think Calvin Johnson is retiring from the NFL because the Lions have had such little success in his nine years in Detroit. Granted, the team has mostly stunk, but that’s not why he’s thinking of getting out. Another Lions superstar appears to be on the verge of retiring from the NFL at a relatively young age, but this time the team isn’t to blame.